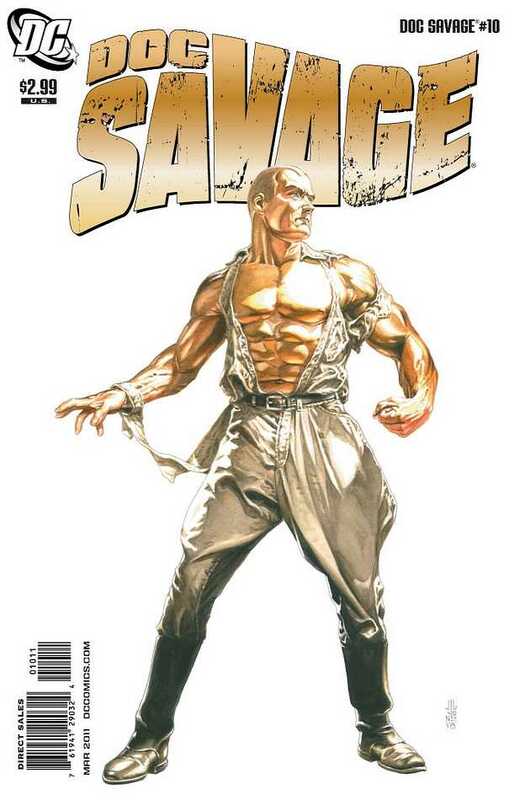 Doc Savage meets Ronan McKenna during an operation in the desert in this flashback issue. Sadly, this was another sub-par issue of Doc Savage that does not even give any indication of taking place in the past except for the presence of McKenna. The book also jumps from one action montage to another with little explanation of why they are doing what they are doing, almost as if chunks of the story are missing. The only good thing in the issue is the art by Phil Winslade and though it might be drawn quite well, it fails on almost every level other than that. By far, the worst scored comic that I have ever seen you write. Props to Phil Winslade for being the only shining star in this otherwise pitch black night!